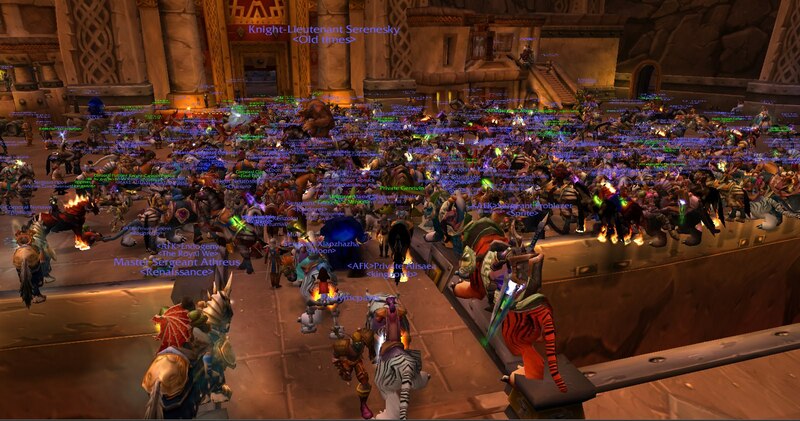 I recently came back to the vanilla scene with the recent 'classic' announcements. 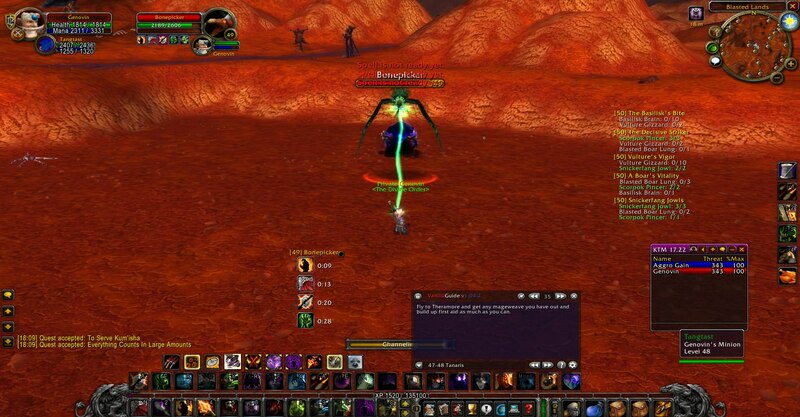 I played on Nostalrius and on Elysium (when they transfered). 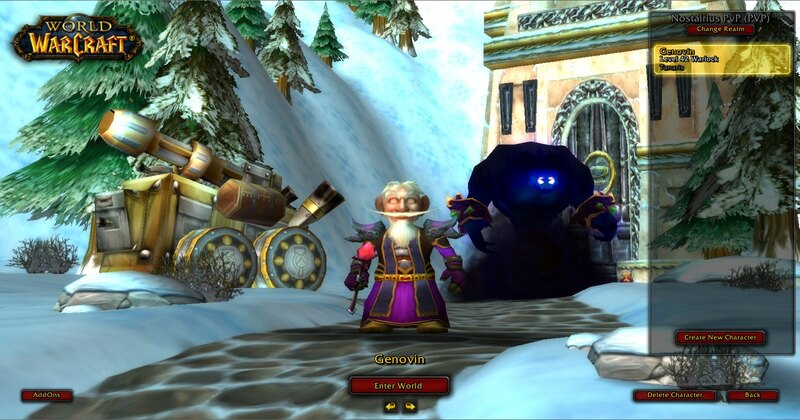 I had a level 48 Warlock named Genovin but when i logged in i did not see the character. In the realm list it did indeed say (1) behind the top server but upon choosing that realm it did not show up. 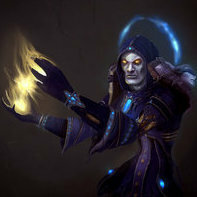 So i created a new character (level 15 mage right now) but i was hoping that i could recover my old character somehow. 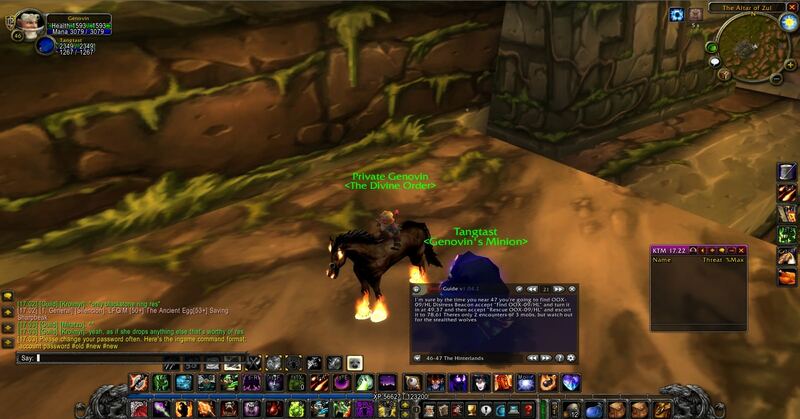 Below are some screenshots from my character, even during the Nostalrius shutdown. I hope this could help me recover my character. If there is any more information needed to help the recovery I will try to do so. 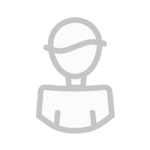 The old nost characters were migrated to our Anathema database. 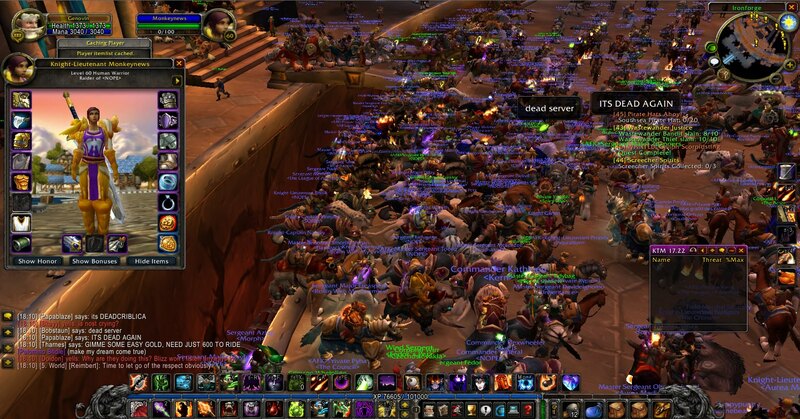 Anathema has not been integrated into our current server, Nighthaven. We have not given a date yet when this will happen.